إن فندق Monte Carlo Apartments بموقعه الممتاز في سارفرس باراديس هو نقطة انطلاق جيدة لنزهاتك في جولد كوست. يمكن من هنا للضيوف الاستمتاع بسهولة الوصول إلى كل ما تقدمه هذه المدينة النابضة بالحياة. كما يمكن الوصول بسهولة إلى Racecentre, Infinity, اورشيد افينو. إن Monte Carlo Apartments حريص على توفير الراحة للنزلاء، فلا يوفر الموظفون جهداً في تقديم أفضل الخدمات وضمان حسن الاستقبال. يمكن الاستمتاع بمجموعة من الخدمات على أعلى المستويات في الفندق كمثل تسجيل وصول/خروج سريع, تخزين الأمتعة, صف السيارات, غرفة عائلية, مرافق للشواء. استمتع بوسائل الراحة الراقية في الغرف أثناء إقامتك هنا. بعض الغرف تتضمن مكيف هواء, شرفة/ تراس, تليفون, ستالايت/ تلفزيون الكبل, أدوات مطبخ لمساعدتك على استعادة طاقتك بعد يوم طويل. يقدم الفندق مجموعة رائعة من الخدمات كمثل ساونا, مسار جولف - ضمن 3 كم, حمام سباحة خارجي, سبا, ملعب تنس، لجعل إقامتك تجربة لا تنسى. إن Monte Carlo Apartments هو خيار ذكي بالنسبة للمسافرين إلى جولد كوست، بما يوفره من إقامة هادئة ومرحة. Had 3 nights at Monte Carlo the stay was fantastic, great room with a view everything right outside the front door and the beach 100m away,couldn’t of asked for more, Gary the in-house manager was awesome, will definitely stay again..
Not knowing the local Surfers are it was a great location. Right on busy strip, probably suit young party goers, but noise was very limited. Beach and eateries close! Easy drive to Theme Parks. Great value for money. Room 48 was wonderful. The only things that stood out from the whole experience would be to clean and maybe paint the carpark and spruce up the reception area, nice lower lighting, nicer smell, but the room, location and hosts Gary and Caroline were fantastic. Great location. Close to restaurants, bars and boutiques. We stayed at Monte Carlo Sun Resort for 2 nights and had an amazing time! The value can't be beaten! The apartment was massive and very modern, with great views. It had a fully equipped kitchen, as well as comfy beds and showers with great water pressure. The staff were really sweet and helpful. We will definitely return! The Monte Carlo was one of my better stays on my holiday, great staff and prime location. In good location with shops and restaurants. Bed room very hot and no air condition, Cellining fan was not working properly, car park very smelly of rubbishes, no wifi in this apartment, it was cost us over $100 to connect with Internet. Location, views and helpful owners. We would definitely stay here again. I suspect it's an older hotel, but the rooms were clean and modern with all facilities included. The balcony had views over the Pacific Ocean and Surfers Paradise, and the location is central to everything - beach, shops and restaurants. Locked underground car park is a bonus. Staff was friendly and helpful. Apartment was clean and just like home. Complete with washing machine and dryer. Nice chinese and korean restaurants nearby. Taxi stand just outside so getting to airport was really easy. A short walk to the beach, which was awesome. Though we were given a low floor, we still get a little bit of the sea view.. All in all, a nice place to stay. Good choice made..
interesting, great location, no real hassles, typical self services apartments, however found emptying own rubbish, supplying own toilet paper a bit strange compared to similar priced, similarly located apartments. But no major complaints, lots of noise from orchid ave nightclub strip. Great hotel, I've had a lovely stay. 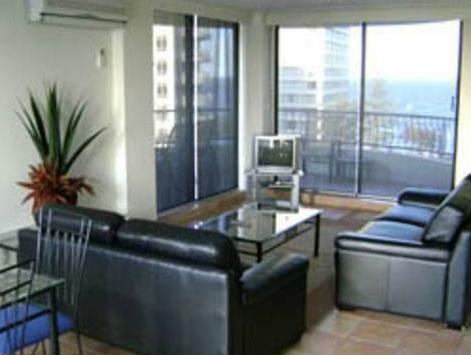 It's right in the heart of Surfers Paradise and metres away from the beach. Views are to die for and the manager was extremely nice and helpful. é um apartamento tipo kitnet com um quarto. O Quarto nao possui ar condicionado, apenas a sala. Não tem serviço de limpeza por se tratar de apartamentos de aluguel. 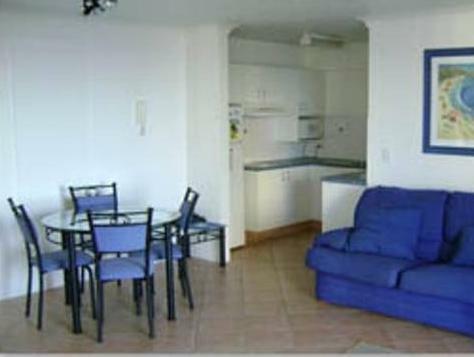 A localização é excelente na parte central de Surfers Paradise.